DEKSI Bandwidth Monitor collects information about inbound and outbound traffic and displays the dynamic of the changing transferring speed in a map. DEKSI Bandwidth Monitor can perform specific actions from sending the SMS and email to rebooting the computer and service if critical values of volume were reached. 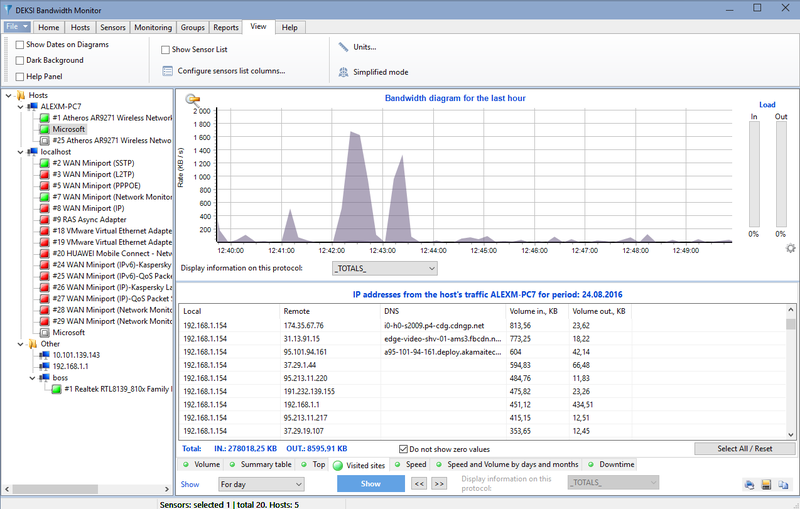 DEKSI Bandwidth Monitor allows you to view the statistics via diagrams and tables.